One of the things I love most about my friend, Shannon, is that if we do something fun it becomes an annual event. We have an annual road trip, annual gingerbread house making event, and an annual bluebonnet photo shoot. 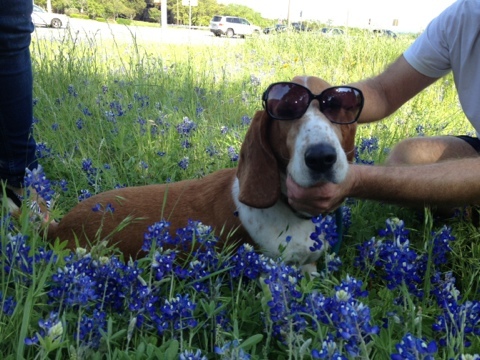 Because of the drought last year, when we went we found about 3 bluebonnets. It wasn’t a great photo shoot but it was a great time. We went again this year and found a lot more bluebonnets and other windflowers that we could work with. We went to St Edward’s and took blue and yellow flower pictures with our many props. Who doesn’t sit in a field of flowers playing the bongos? It was very normal. We later found a field with some red flowers on the side of the road. We didn’t use props that time. Once we were done, we went and ate at Galaxy in the Triangle. I really liked my chimichurri wrap, or whatever it was called. We had a great time just enjoying the day. I’m ready for next year’s shoot!!! One of the things i love most about my friend Courtney is that she goes along with my wild ideas so easily, and often is the instigator. I miss chatting during communion at Hippie Mass, and we missed this year’s gingerbread house. Didnt you get a tree or something? Still, we manage to have plenty of fun despite pantaloon day probably not happening this year.